Ally Stocks has loved being outside for as long as she can remember. Growing up on the shores of Lake Ontario, she spent her free time canoeing, kayaking, hiking, skating, and skiing. After twelve summers of attending and working at summer camps and wilderness centers, Ally found a passion for fostering positive experiences in nature. 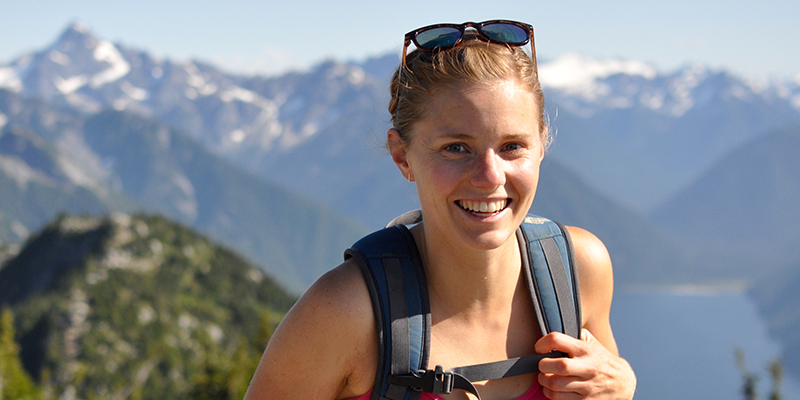 Now as a CPAWS wilderness ambassador for BC parks, she reflects on the heartbreaks, exhaustion, fears, and (above all) triumphs that she has experienced on her numerous adventures. With every experience, the outdoors have shown to be an incredible connector, motivator and community builder. Ally believes nature is a powerful teacher and source of inspiration, and by helping others embrace new outdoor adventures, they can have a positive and active relationship with wild spaces and awaken their inner environmental advocate.